Wallet, keys, phone, Chargerito... Never leave home without them. Everyone already has a charger in their home, workplace, and car, but what about all those unexpected scenarios where you find yourself with low battery and no easy way to charge your phone? Since Chargerito is always with you, never worry about running out of battery at the wrong time. No batteries. No cords. Just Chargerito. We offer a full replacement one-year warranty with U.S.-based customer support to help you any time. Charging Method: Directly from a wall outlet, no energy storage. Chargerito is plugged into an electrical wall outlet while connected to the device it's charging. It does not contain a battery to store charge. The World's Smallest Wall Charger with foldable plug, as seen on Indiegogo. UL, FCC, and PSE certified. Fits easily on a keychain or in your pocket, so you always have a charger on hand for your phone, tablet or wearable. Prongs fold flush for travel, then unfold so your device sits securely on top to charge while plugged into a wall outlet. One-year complete replacement warranty with U.S. customer service. 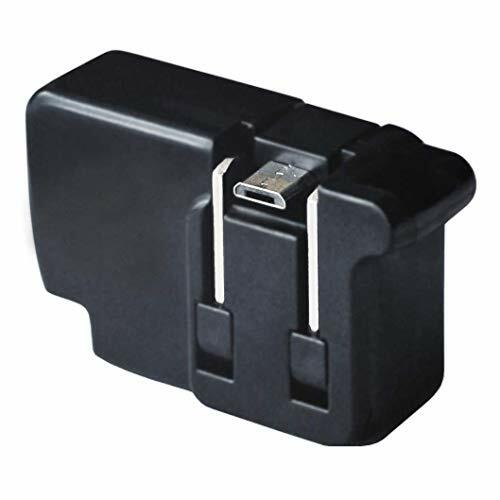 Works with Android phones and tablets like the Samsung Galaxy S7, S6, Note 3, LG V30, Edge J7, J6, , and any other device with a Micro-USB port. If you have any questions about this product by Chargerito, contact us by completing and submitting the form below. If you are looking for a specif part number, please include it with your message.